My spring travel season has started, so a couple weeks ago I traveled to San Francisco. This week found me on a plane to Houston. In a couple more weeks, I’ll be flying to New York. Then from New York to Atlanta. And then a week or so after that, I’ll be in Chicago. Face-to-face conferences are a really important component of my job. They help me to network, share research results, learn about the latest trends in my field, and get some space away from the office to just think and plan. Here’s the problem: I don’t like to fly. I used to be an okay flyer. I even kind of enjoyed flying because it felt very adult and sophisticated to travel for work. Then I had a really rough flight coming into Denver with lots of turbulence and several attempts to land the plane. It shook me up. I’ve struggled with plane travel ever since. I think the main thing that bothers me is the fact that my safety is not in my control. I’m a person who really enjoys being in control. I also don’t really like the idea that once I’m on a plane, I’m basically stuck there for the hours it will take to get to my destination. I don’t like that I can’t move around. And then there’s the other people. As an introvert, being in crowds is not my favorite thing. 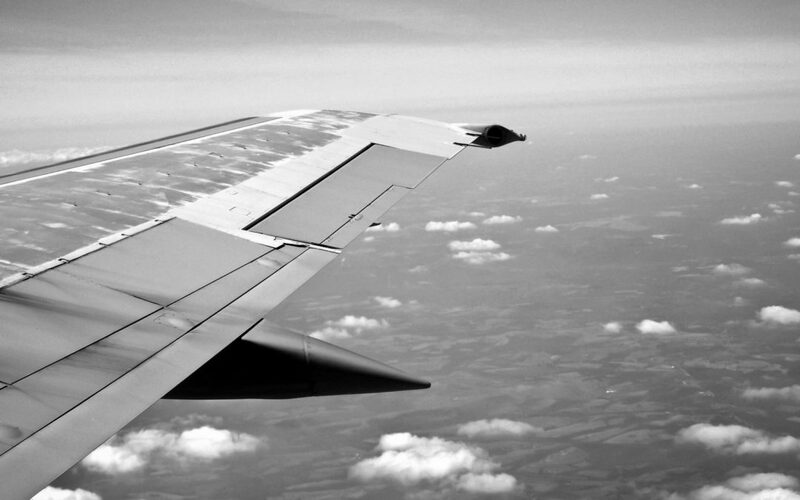 Recently, I felt like I had conquered my issues with flying. I knew I would be traveling more for my current job and so I intentionally worked on re-framing flying for myself. I thought about it as a quiet space to think. I rewarded myself for flying by only playing certain games on my phone when I was in the air. I used the time in flight to catch up on podcasts. My introvert-self really liked this re-framing. Then I had another bad flight. But here’s the thing: I can’t not fly. Not only is flying a requirement of my job, but it’s part of modern living. As much as I might want to travel by train or car for the rest of my life, it’s just not reasonable to think I can do that (aside from the fact that car travel is actually more dangerous than flying). Perhaps most importantly, I don’t really want to limit myself in that way. So now I’m re-framing again. And, so far, it’s helping. I’m acknowledging that fear is a both/and situation and not an either/or. If I wasn’t so fearful of flying I could be more productive on the plane. I’m so uncomfortable with flying that I cannot truly enjoy traveling. I dread so much the idea of putting my life into someone else’s (capable) hands for several hours that I can’t feel any positive anticipation leading up to flying. See how fear becomes the excuse for not doing and feeling things the way I want to? I can be fearful of flying AND I can have a productive time on the plane reading articles. I can be uncomfortable with flying AND I can enjoy traveling for work, meeting new people, and learning new things. I can dread the idea of putting my life into someone else’s (capable) hands for several hours AND also feel positive anticipation for the novel I’m planning to read on the plane. The more I think about this, the more I realize how it can be applied to other areas of my personal and professional life to make sure that fear is not stopping me from moving forward. When we think about fear as an either/or situation, we focus solely on keeping ourselves away from uncomfortable situations. We avoid, we dodge, and we run away. We worry in really unproductive ways. Fear as a both/and scenario, however, allows the fear to co-exist with all the other more positive things that we want to do and feel. I can be fearful that my next book won’t sell AND I can enjoy the process of writing it. I can be uncomfortable with starting up conversations with strangers at conferences AND I can feel anticipation about who I might meet and whether those new relationships will lead to interesting collaborations or partnerships. I can dread the idea of getting up early to go for a run AND I can appreciate how much that run helps keep me sane in the midst of a busy travel season. By re-framing fear as something that can happen simultaneously to the more comforting thoughts and feelings that I have, it becomes easier to acknowledge it for what it is and to let it go. By moving my body to the beat of the music in a way that seemed more natural, I was able to ignore the movement of the plane that seemed unnatural and fear-inducing. I was able to stay relaxed the whole time. Later, I posted on social media that if I’m going down, I’m going down dancing. That may be my new mantra for facing fear. In what parts of your life are you treating fear like an either/or situation? Where do you acknowledge fear as a both/and situation?